As a resident of Fashion Terrace, you will live just north of downtown San Diego in the charming neighborhood of Linda Vista. Nestled alongside Fashion Valley Mall, your new apartment offers convenient access to I-8, the Cabrillo Freeway, and the entire San Diego metro area. 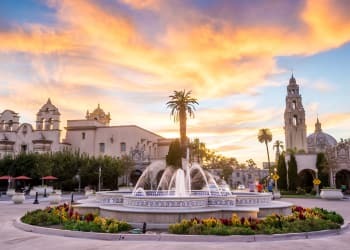 Commuters appreciate easy access to local employers, including Sharp Memorial Hospital and University of California San Diego. When you’re not working, take advantage of the exceptional food, high-end shopping, and incredible landmarks. Check out True Food Kitchen for fresh and delicious vegetarian and vegan dishes. For a little retail therapy, our apartments near Fashion Valley Mall make it easy to pick up great items for your home and wardrobe. 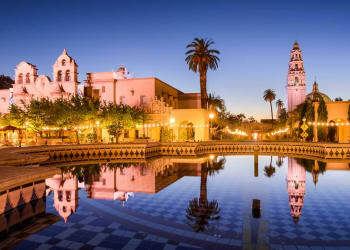 When you want to get out and explore, stop by the world-famous San Diego Zoo or drive west to catch a gorgeous sunset over the Pacific Ocean. Discover the joy of California living at Fashion Terrace. Give us a call to set up a personalized tour of our exceptional San Diego, CA, apartments for rent near Mission Valley West today.